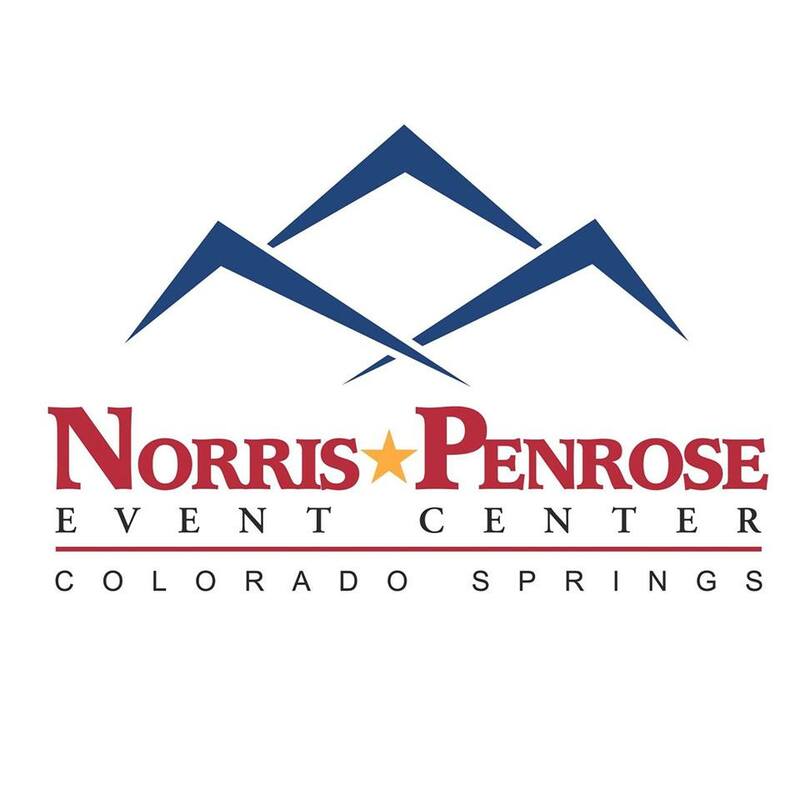 Saturday, March 2nd, 9:00 a.m. – 4:00 p.m.
Sunday, March 3rd, 10:00 a.m. – 3:00 p.m.
Advanced ticket sales closed at midnight on Feb. 28, 2019. Tickets available at the door. 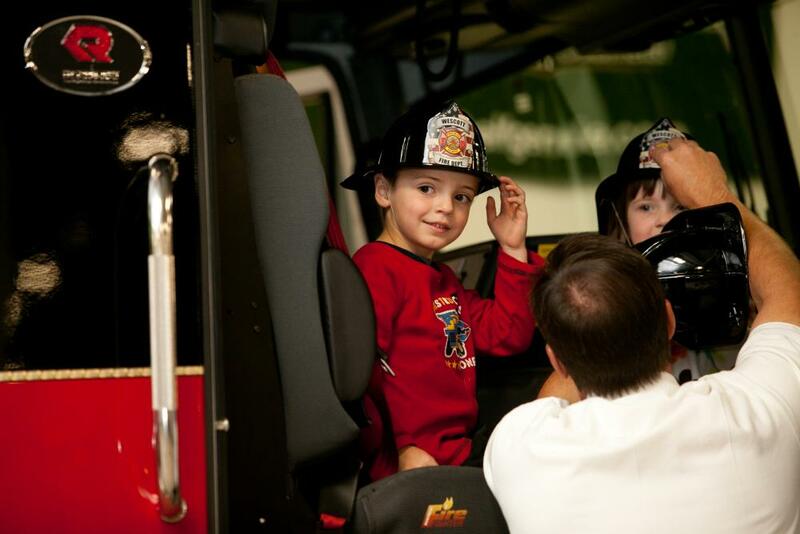 Touch-A-Truck Weekend is one of the premier family events in Colorado Springs and El Paso County. At work, these trucks and vehicles can be driving fast, moving large rocks, or saving lives. Now they are in a safe location for kids to explore, whether that’s sitting in the driver’s seat, seeing the size of the tires, or climbing onto the flat bed. The funds raised at Touch-A-Truck Weekend will benefit the Junior League of Colorado Springs’ Fostering Change initiative — efforts to provide resources to current and former foster youth focused on the risk factors associated with aging out of foster care, such as homelessness, human trafficking, and domestic violence. 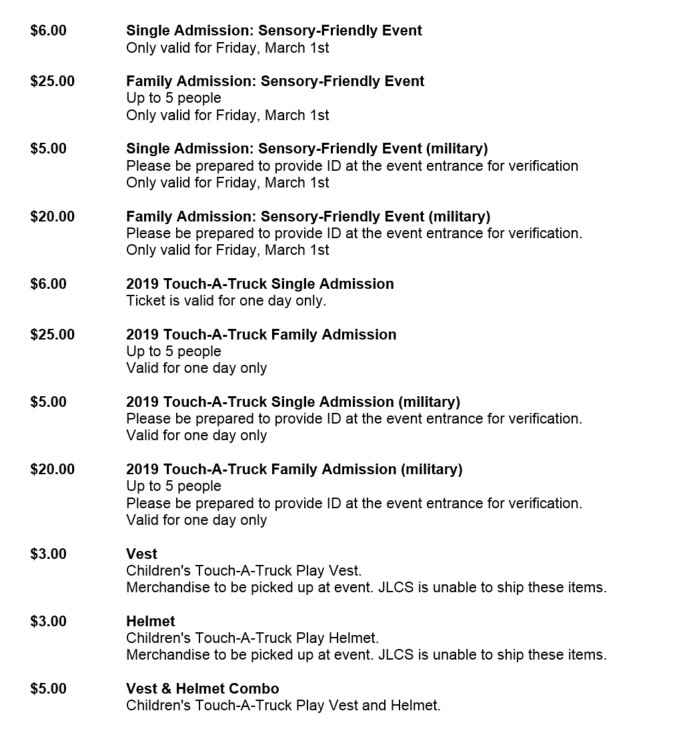 Touch-A-Truck Weekend features a Sensory-Friendly Evening on Friday for children individuals with intellectual or developmental disabilities, autism, sensory processing disorder, or other conditions. You can expect the lights to be dimmed and the noise to be kept at a minimum. Children under 2 years of age are free! Click here to review our waiver & release form. All attendees will need to agree to the waiver and release upon entering the event. Thank you for your interest in participating in Touch-A-Truck! Vendor, truck, and sponsor applications for 2019 are now closed.